Interest in commercial property to rent in Plymouth is soaring significantly with over 80 per cent more people searching for workspace, according to Boxpod’s latest data analysis. Plymouth is home to more people than any other Devon town or city and it appears it’s also attracting more and more businesses judging by the large increase in workspace listings and enquiries which Boxpod is witnessing. 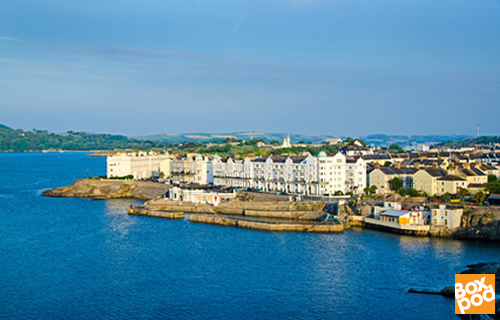 Over the past 12 months, commercial properties in Plymouth listed on Boxpod have increased by 27 per cent. The visitor property clicks were up 124 per cent on the previous year and enquiries increased by 83 per cent. So it’s boom time for commercial property in Plymouth? Well, certainly for some sectors. Lambert Smith Hampton’s South West Office Market Report, 2017 stated that availability of quality office space in Plymouth has hit a record low. It says there’s just 275,000sq ft workspace available to businesses looking to relocate or expand in to bigger premises – the lowest level since 2013. Relaxation of Permitted Development regulations has seen a sizeable amount of space being converted from offices to student and residential accommodation.